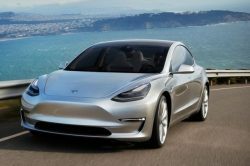 Tesla Model 3 is the third-generation all-electric car from the Tesla corporation, and it has been in production since 2017. It was the top-selling plug-in electric car in the United States for every month of the year in 2018. Three different versions are available: standard, mid range and long range. The standard delivers an all-electric range of 350 km, while the long-range version can do 500 km highway driving per charge (USA EPA-rated). The mid-range falls between the two extremes with an all-electric range of 420 km. 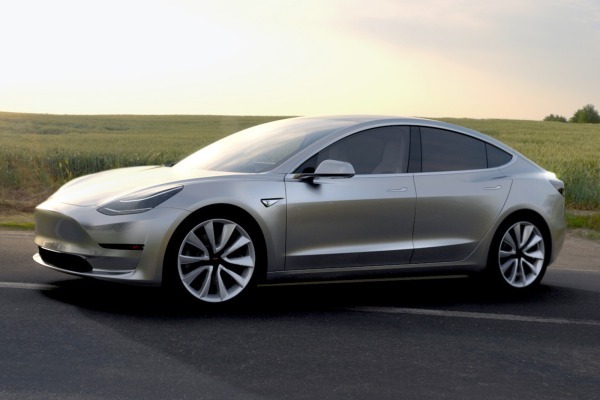 Regardless of which of the three versions you pick, the Tesla Model 3 is a compact executive sedan with four-doors, belonging to the entry-level luxury car (D-segment) category. The dashboard has been noted for its strict minimalism – it only contains a center-mounted LCD touchscreen. Tesla Model 3 is assembled at Tesla’s factory in Fremont, California, USA. 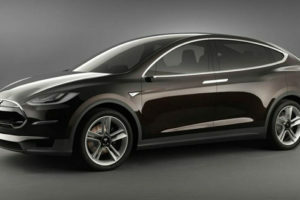 The Lithium-ion battery is 50 kWh for the standard car, 62 kWh for the mid-range and 75 kWh for the long range. Tesla Model 3 comes with self-driving hardware (for driverless driving), but the self-driving feature is not active since it wouldn’t be legal. Tesla put the hardware in there to make it possible for Tesla owners to opt for activation in the future, if the legal situation changes. After being crash tested by the National Highway Traffic Safety Administration in the United States, the Tesla Model 3 received 5 stars (top-rating) in every category. 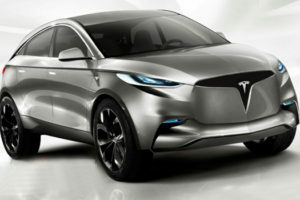 Originally, the name for this car was planned to be Tesla Model E. (Which would make the three Tesla models spell out S-E-X.) 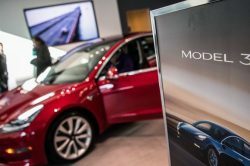 After being sued by Ford for violation of their Model E trademark rights, Tesla changed the car name to Model 3, tylized as Model ☰. 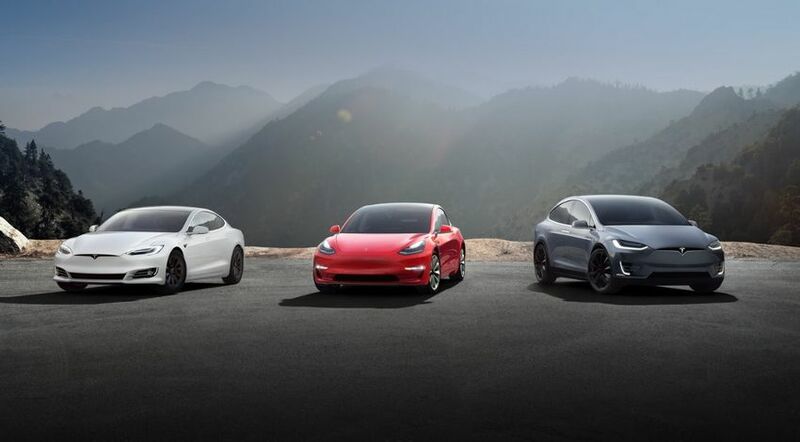 The three lines caught the attention of Adidas, and the stylization was dropped by Tesla. 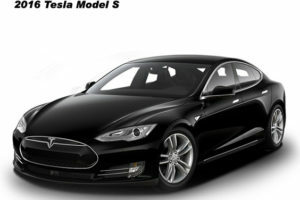 • The car was unveiled on 31 March, 2016, and Tesla started accepting refundable deposits that same day. 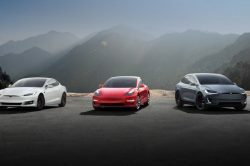 Just a week later, on 7 April, Tesla reported that they had received over 325,000 reservations. • Limited vehicle production commenced in July 2017. By then, the milestone half a million reservations had been reached. • The first production vehicle rolled off the assembly line on 7 July, 2017. • On 28 July, 2017, a special event was held to celebrate the delivery of the first 30 units. • When 2017 was over, a total of 1,764 units had been delivered to buyers in the United States. • In June 2018, the production rate reached 5,000 units per week. • In August 2018 (CYTD), the Tesla Model 3 became the best-selling plug-in car in the world, kicking the Nissan Leaf off the throne. • In October 2018, global sales passed the 100,000 unit milestone. • When 2018 ended, the Tesla Model 3 had been the top-selling plug-in car in the United States for 12 months in-a-row. 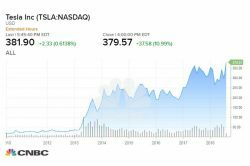 If you want to invest in the company behind the Tesla Model 3 success, that’s very easy since Tesla Inc is a publicly traded company. 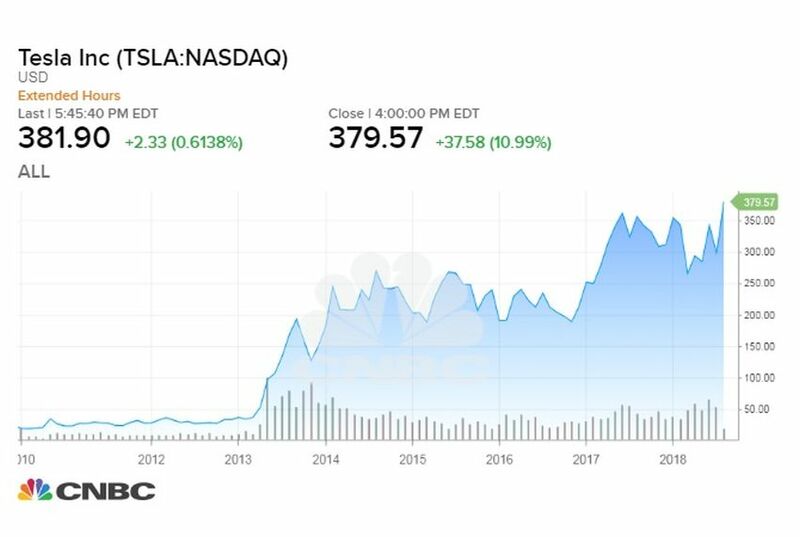 Shares in Tesla Inc are listed on the NASDAQ exchange. You can buy and sell Tesla stock with popular stock broker e-trade or Robinhood. You find the stock on the bokers website by searching for the ticker symbol TSLA. 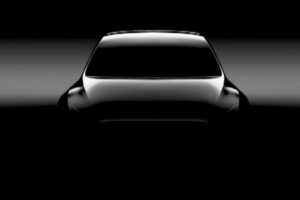 Tesla Model Y Suv – Are you coming today?